After the weeping that followed the end of The West Wing and the Sopranos I have tried to find solace in other TV shows and as Heidi spent the last day doing bugger all by the pool I decided to sit in the shade in the company of my portable DVD player. I should point out that I am not much of a sun worshiper. Heidi says I go naturally brown but I find sitting in the sun all day totally boring and there is as much chance of hearing Willie Nelson singing a rap song as finding me turning myself into a George Hamilton. Now, George is still my hero and I am sure, as we speak, he is heading to the beaches of St. Tropez and the hotel Byblos for sun, champagne and all the super models you can eat. Anyway, I’ll come back to the DVD’s in a moment but first we once again congratulate Carnival’s Marketing Team on the birth of their brilliant new website. MIAMI ( May 8, 2008 ) – Carnival.com, the cruise industry’s most visited Web site, has undergone an extensive redesign and emerged with a host of new features, including enhanced navigation and layout, a variety of images and content, and numerous technical advancements, all designed to make users’ on-line experience easier and more informative than ever. 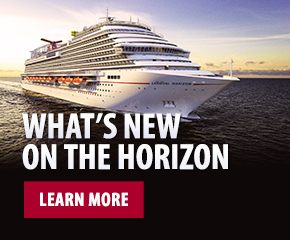 Highlighting the next generation of carnival.com are dozens of entertaining new videos and virtual tours, along with upgraded images and content showcasing all 22 of the line’s “Fun Ships.” Also included are upgrades to special sections focusing on various aspects of the Carnival vacation experience such as dining, spa, youth programs, destinations and shore excursions. The “new and improved” carnival.com features an enriched Gifts and Services section that allows visitors to purchase a variety of items that can be delivered to guests’ staterooms prior to their cruise. The section also includes detailed product descriptions for gifts ranging from special occasion cakes, fine wines and flowers to stateroom decorations and wedding/romance-themed gift packages. There’s also an updated section where first-time cruisers and visitors can sign up for Carnival news and information via both email and RSS feeds. The new site has a strong focus on enhancing end-user support, with a more detailed FAQ section, an enhanced site search engine, and live feeds featuring Carnival news headlines on virtually every page. 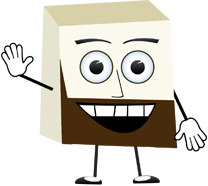 The site also includes a number of technological advancements, with a higher site resolution that provides a better platform for multi-media components, greater compatibility across all Web browsers and optimized Web pages for visitors who access the site via hand-held phones and other communication devices. “Just as Carnival’s on-board product continues to evolve so do our marketing channels. The next generation of carnival.com is designed to provide visitors with a wealth of information and images to learn more about ‘Fun Ship’ vacations” said Ruben Rodriguez, Carnival’s executive vice president of marketing and guest experience. Carnival is the largest and most popular cruise line in the world, with 22 “Fun Ships” operating voyages ranging from three to 18 days in length to the Bahamas, Caribbean, Mexico, Alaska, Hawaii, New England, Canada, Bermuda, Europe, and South America. The line has three new ships scheduled for delivery between now and 2011. The first of these, the 113,300-ton Carnival Splendor, is slated to debut in Europe July 2, 2008. I would also like to direct your attention to a great blog being written by the Captain of Holland America’s Veendam. Sounds fantastic and my congratulations to Captain Albert on his beautifully written blog. So, as Heidi spent the day turning herself into Beeonsay I finally found replacements for the much missed West Wing and Sopranos. Firstly there is an HBO show called Entourage. It is a lighthearted and factual look at an actor’s life and how his friends look after him…….the role of would be film star Johnny Drama played by Kevin Dillon is particularly brilliant. I just finished season 2 and it was superb. Next is a Showtime series called The Shield which is a gritty realistic police drama starring my new favorite actor Michael Chiklis…….he is simply awesome. As I watched these shows I marvel not just at ther fantastic acting but the writing and I dream of one day being able to write a show like that. Anyway, we have had a wonderful few days and tomorrow we have the long drive home. We are both rested and relaxed and thank you all for allowing me to bore you with my holiday ramblings. The highlight of the day was though our £100 donation to the Red Cross appeal for Myanmar…..I hope it gets there in time to save someone.